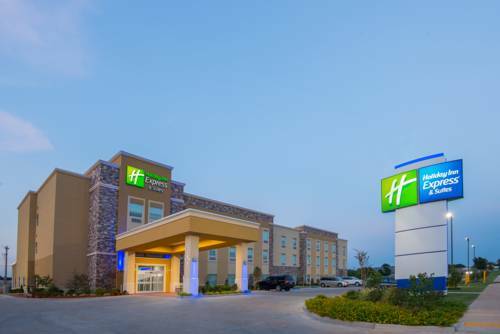 Welcome to the brand new Holiday Inn Express & Suites Stillwater, OK located by N. Perkins Road. Home of the Oklahoma State University Cowboys. Whether you are visiting for business or for pleasure, you will find everything you need to enjoy your stay while in Stillwater. Our property is within walking distance to the Lake View Pointe outdoor shopping mall where you can handle your shopping needs. We are also in close proximity to numerous fine restaurants also within walking distance from the property. Be sure to catch a flick at Carmike Cinemas located right across the street from our hotel. Our hotel is located 70 miles west of Tulsa, OK. Our Stillwater hotel has high speed internet access which makes sure you stay connected to the office and our business center is open 24 hours. No matter what brings you to Stillwater, our hotel is a great place to find comfort and convenience. You can take a dip in our outdoor pool or break a sweat in the fitness center. Enjoy the complimentary Express Start Breakfast Bar, which features items like eggs, bacon, fresh made pancakes and our signature cinnamon rolls. Visit our sundry shop, for your convenience we have many of your forgotten toiletries, cold drinks and snacks. Make a reservation today so you can experience all Stillwater has to offer. Go POKES! Home-built mini-replicas of Route 66 attractions at John Hargrove's attraction along Route 66. Sprawling, somber, and stirring memorial to victims of a homegrown terrorist attack. The Field of Empty Chairs account for each 1995 bombing victim. A surprisingly slick, new museum that presents the largest collection of banjos on public display anywhere in the world. Hundreds of animal (and human) skulls and skeletons, including over a half-dozen mutant calves. It's all bones!